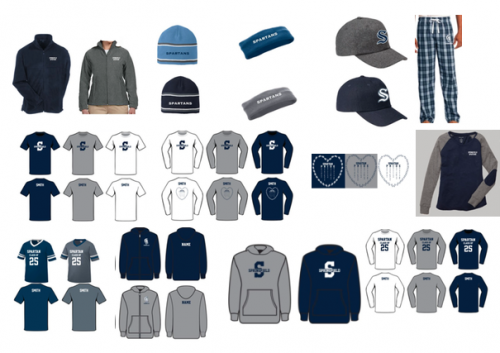 EEHSP is Launching its Fall Spartan Spiritwear Sale! Limited Time Only, through noon on November 21st! Hats, Jackets, Sweats, & PJs! Peaceful, Respectful, Involved, Dedicated and Excellent. Orders will be delivered before Winter break. EEHSP’s Spiritwear sale has had to cancel items #1 and 14, 15 and 16 due to low interest. If you ordered these items, your card will automatically be refunded. Good news, however — you can still order through NOON on Nov. 21st. You still have a few hours left to support EEHSP, and our schools, while getting great gifts for your friends and family. Questions? Email SPIRITWEAR@EEHSP.ORG.